If you want to scale up your team on Analytics capabilities, or for yourself, here is a great way to get started. Ideal for Project Managers, Technical Leads, and Analysts. Get hands-on and be practice oriented. 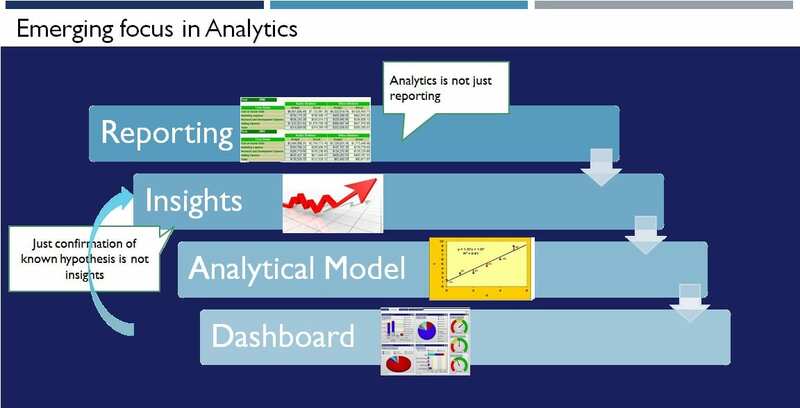 Also learn the big picture of Analytics domain. Sessions by industry practitioners with deep experience. For registration contact us on info@analyticsquad4.com or call +91 97409-31188. Date: Nov 28th and 29th, 2014. 9:30 am to 5:30 pm. You have real data and real problems; on completion of this program you will be equipped with knowledge essential to solve these using analytical techniques. Explore application of data analysis with R/SAS & Excel. Get acquainted with advanced analytical techniques such as predictive analysis and clustering. We work in the areas of Quantitative analysis, Text Mining or Machine Learning. Our clients need to understand their own customers better and streamline their operations. We use expertise in analytics, business processes, industry best practices, technology and social media to develop custom solutions for them.